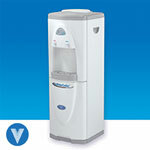 Low Cost Hot & Cold Water Dispenser serves up to 40 people in offices where economy and quality are needed. Eliminates the hassle of lifting and storing heavy 5 gallon containers. 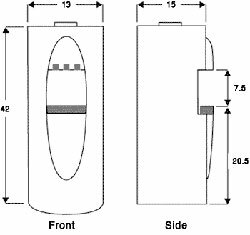 A compact hot and cold water dispenser serves up to 40 people in offices where economy and quality are needed. Eliminates the hassle of lifting and storing heavy 5 gallon containers. 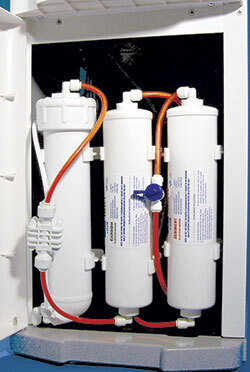 UV sterilizer and ozone sanitizer options available.